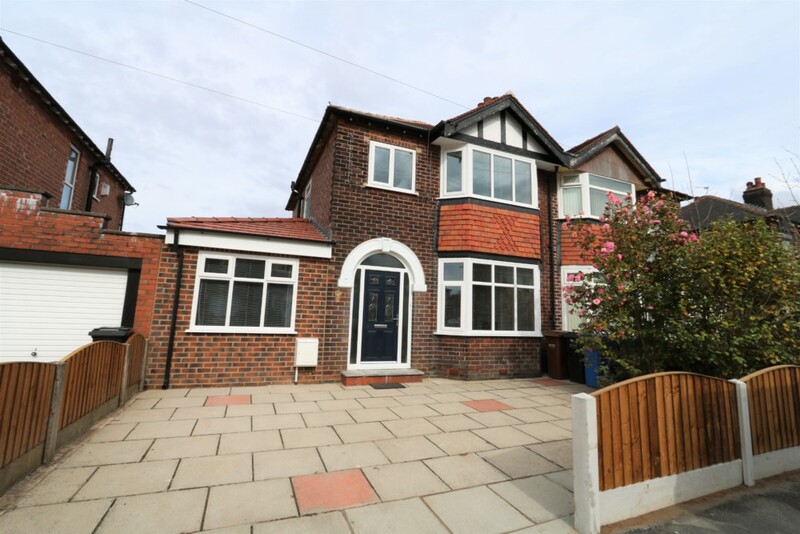 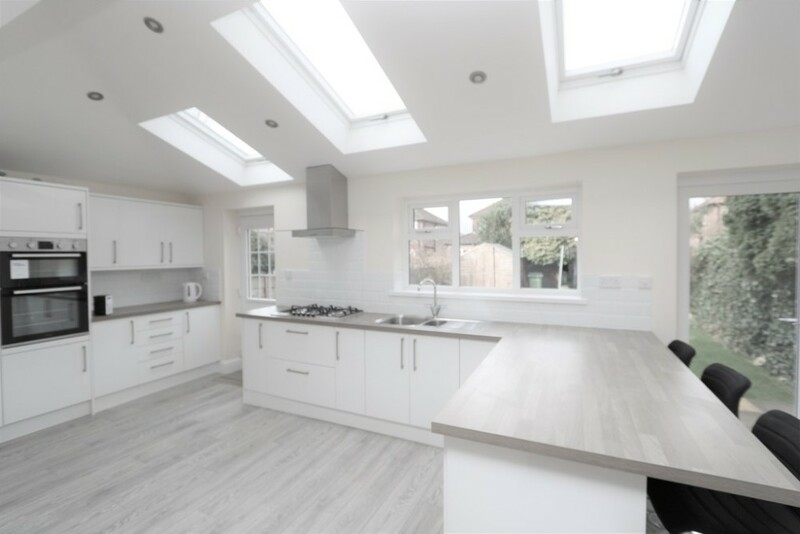 Fantastic and Extended 4 Bed Semi with 2 Bathrooms, Utility Room, Large Open Plan Family Room/Dining Kitchen, re wired, New Kitchen and Bathrooms. 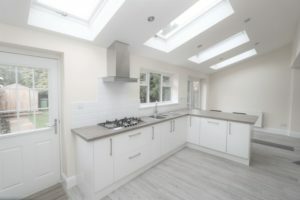 The accommodation comprises Entrance Hallway, Lounge, Extended Open Plan Family/ Kitchen and Dining Room, Utility Room, Guest Bedroom with En Suite Shower Room, Landing, 3 further Bedrooms and the Modern Family Bathroom. 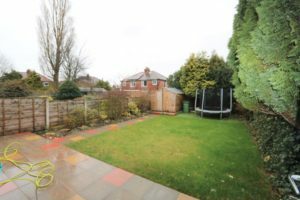 Outside there is off Road parking for 2 Vehicles. 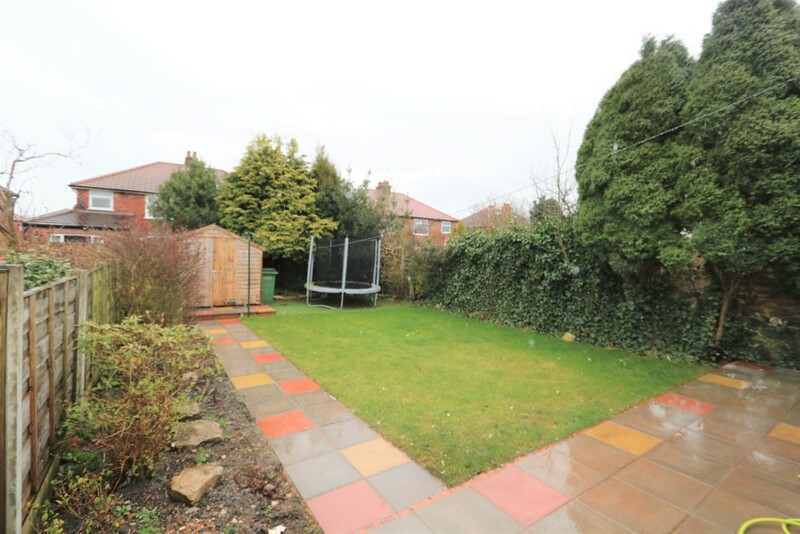 To the rear there is a Good sized garden. 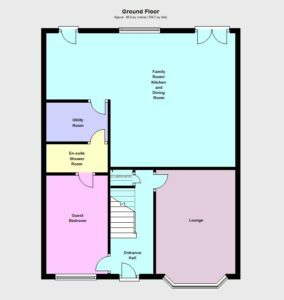 ENTRANCE HALLWAY 14′ 0″ x 5′ 10″ (4.27m x 1.78m) Double Glazed Composite front door, radiator, laminated flooring, spindled staircase to the first floor landing, smoke alarm, under stairs storage cupboards. 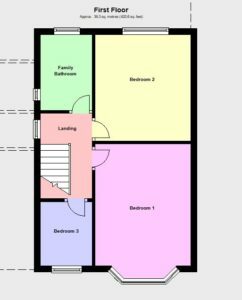 LOUNGE 15′ 11″ x 10′ 8″ (4.85m x 3.25m) Radiator, picture rail, fireplace with electric fire, PVCu double glazed bay window to the front. 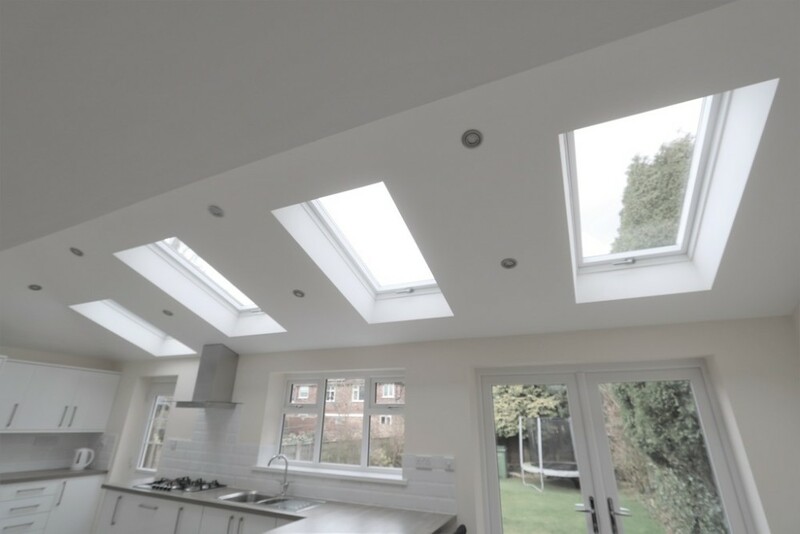 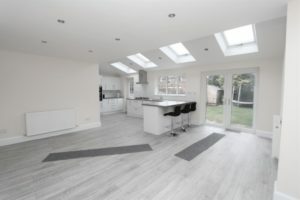 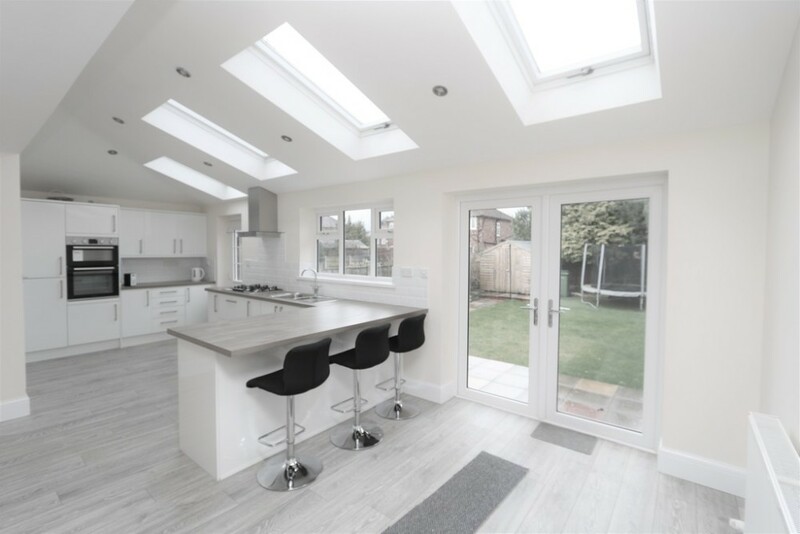 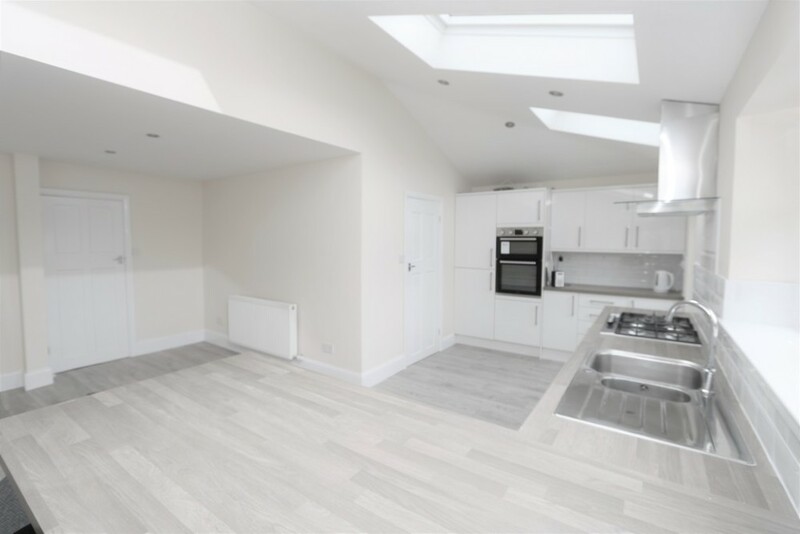 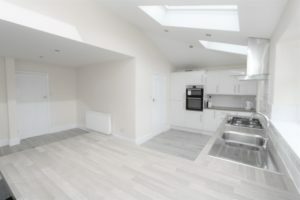 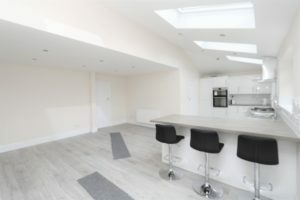 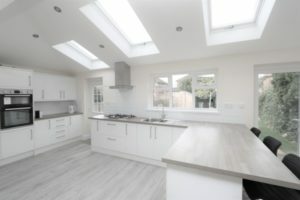 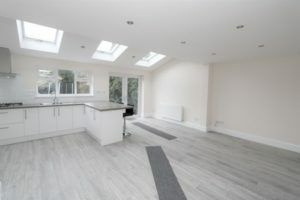 FAMILY ROOM / KINCHEN AND DINIG ROOM 24′ 10″ x 18′ 0″ (7.57m x 5.49m) A fabulous extended open plan room, laminated flooring, radiators,television point, velux double glazed windows, modern gloss white kitchen units to base and wall, under unit lighting, square edge work surfaces, integrated appliances to include dishwasher, fridge freezer, double oven, 5 ring gas hob and extractor, inset one and a quarter single drainer stainless steel sink with mixer tap, LED down lights, PVCu double glazed window to the rear, composite double glazed door to the rear garden,Space for a dining table, and sofa, PVCu double glazed french door to the rear garden. 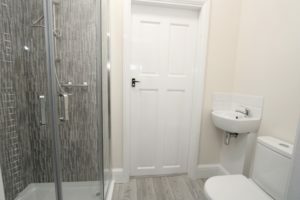 UTILITY ROOM 7′ 3″ x 5′ 10″ (2.21m x 1.78m) Laminated flooring, radiator, wall mounted combination boiler, velux double glazed window, unit to base level, with square edge work surface, par tiled walls, inset circular stainless steel sink with mixer tap, space for a washing machine and dryer, door to the downstairs shower room and en suite. GUEST BEDROOM 13′ 3″ x 8′ 3″ (4.04m x 2.51m) Radiator, enclosed meter cupboard, LED down lights, PVCu double glazed window to the front, door to the En suite shower room. 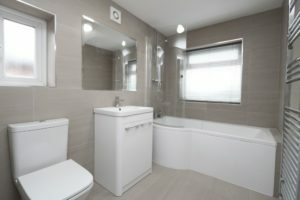 ENSUTE BATHROOM 7′ 4″ x 3′ 10″ (2.24m x 1.17m) Chrome ladder radiator, low level wc, hand wash basin, corner shower cubicle with power shower, par tiled walls. 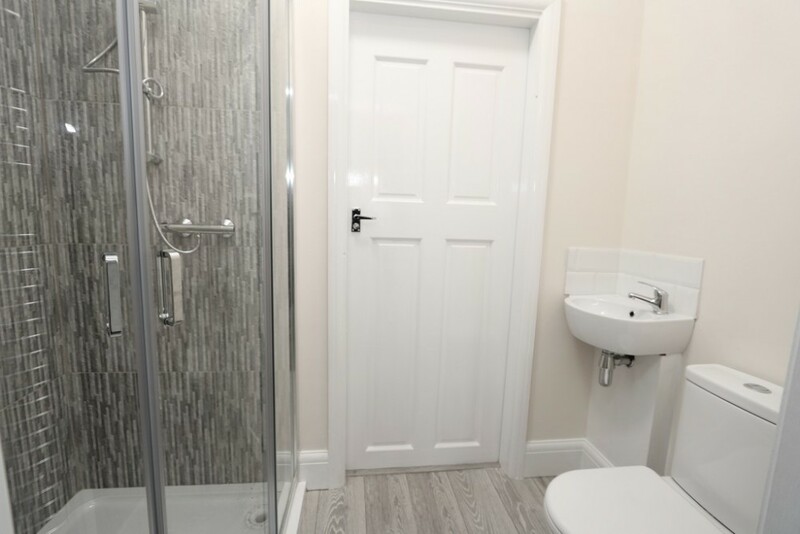 door to the utility room. 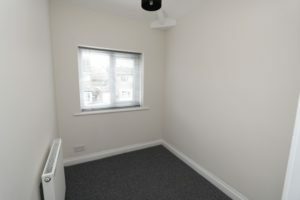 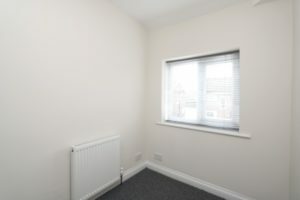 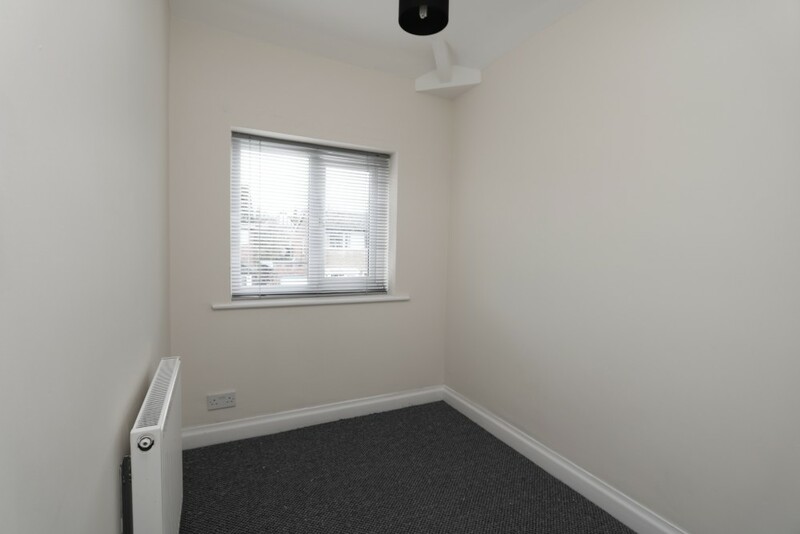 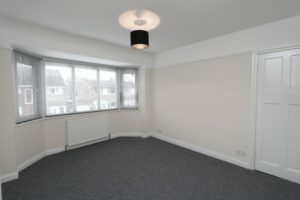 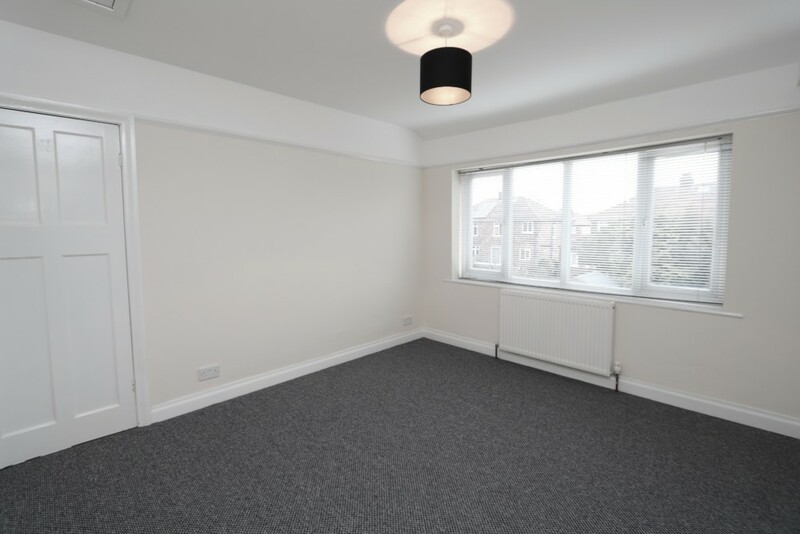 BEDROOM 1 12′ 11″ x 10′ 9″ (3.94m x 3.28m) Radiator, picture rail, PVCu double glazed window to the front. 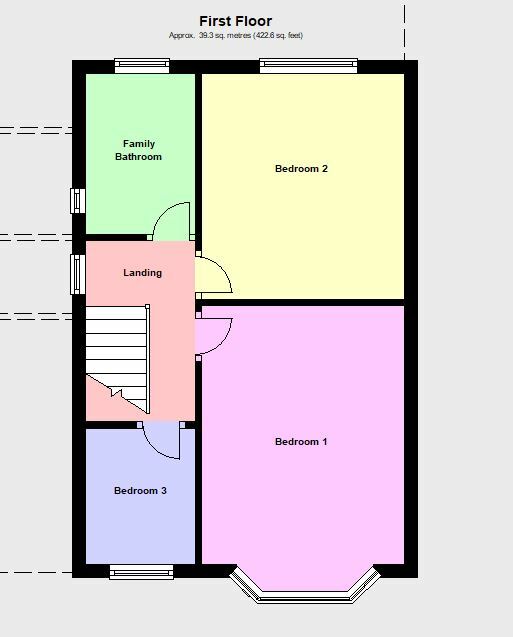 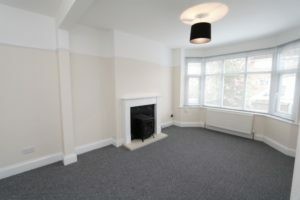 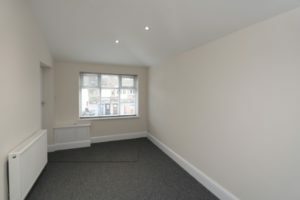 BEDROOM 2 11′ 11″ x 10′ 9″ (3.63m x 3.28m) Radiator, picture rail, loft access, PVCu double glazed window to the rear. 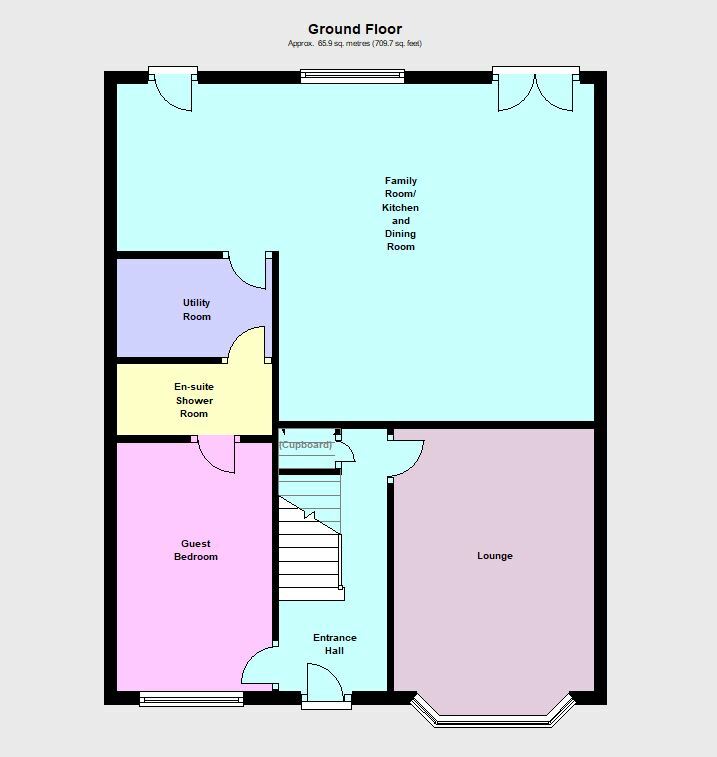 BEDROOM 3 7′ 2″ x 5′ 11″ (2.18m x 1.8m) Radiator, PVCu double glazed window to the front. FAMILY BATHROOM 8′ 5″ x 5′ 9″ (2.57m x 1.75m) Modern and recently fitted bathroom suite, comprising low level wc, vanity hand wash basin with cupboards below, panelled bath with shower over, tiled walls, chrome ladder radiator, ceramic tiled floor. PVCu double glazed windows to the side and rear. OUTSIDE To the front of the property there is a flagged driveway providing off road parking for 2 vehicles. To the rear is a fully enclosed garden with outside lighting, there is a large flagged patio area which leads down to the rear garden which is mainly laid to lawn, there is a section that is Astro Turfed especially for the use of a trampoline. 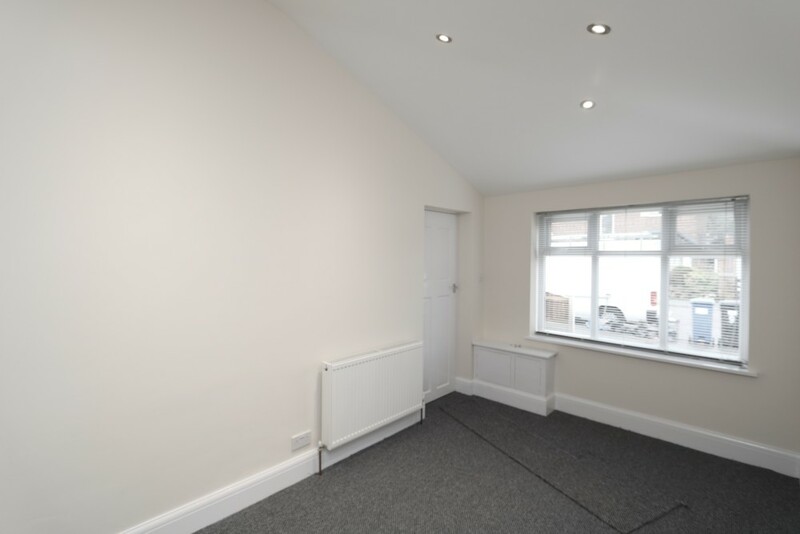 There is also a timber shed.